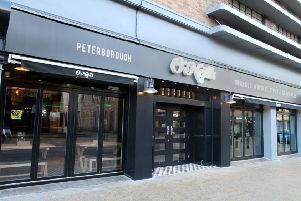 The burgeoning partnership between artisan foodies Bread Meat Cheese and The Lightbox Café : Bar has already brought Peterborough diners Burritos and Bubbles, Posh Dogs and Prosecco, Asian Bao Wow and is now set to deliver a five-course feast. The team of Claire Morgan and brothers Jim and Nigel Davis will be taking over The Lightbox kitchen again on Friday, July 13 (7pm), to create “an elbows on the table Feast from the Middle East”, five courses of eastern hot and cold dining. The menu is priced at £23.95 per person and booking is essential – the table is yours for the entire evening and we understand that tickets have been selling fast. The event celebrates the launch of a new wine menu at The Lightbox - pairing wines specially selected by Amps Wine Merchants will be available to buy on the night. So what can you expect? The menu kicks off with three meze served with flatbreads, a classic chickpea hummus; feta haydari with honey and a beetroot tzatziki. This will be followed by a warm king prawn salad with pink radish and red onion with za’atar & orange dressing. The spectacular main course is a spice marinated and slow cooked local lamb shoulder served with dried fruits, cous-cous, sekanjabin (mint syrup) and fresh salads. Then come two mouth-watering desserts: first an individual blueberry, lime and ginger “cheesecake” followed by a white chocolate, cardamom and macadamia square with fresh cream.